Why unique baby names are trending in the U.S. Babies in the United States are less and less likely to share their names with other kids, new research finds. The trend toward increasingly unique baby names is long-standing, but some researchers had speculated that parents might turn back to tradition amidst the uncertainty of the 2008 Great Recession. Not so, according to a new analysis of Social Security naming data published online Sept. 20 in the Journal of Applied Social Psychology. Twenge and her colleagues reported in 2010 that Americans had become more fixated on finding unique names for their children. An analysis of the Social Security name database, which contains the names of everyone with a social security number, revealed, for example, that about 40 percent of boys received one of the 10 most common names in the 1880s, but fewer than 10 percent of boys got a top-10 name in 2007. Multiple lines of research suggest that American culture has been getting increasingly individualistic for at least a century. Surveys reveal more self-focus and less empathy in today’s young people than the youth of previous generations, for example, and books are now more likely to contain individualistic words and phrases like “all about me” and “self.” Baby names can be an “incredible” window into such individualism, Twenge said. Since choosing a baby’s name is not just an attitude measured on a survey, but also a behavior, those names reveal how people are acting, not just what they’re saying, Twenge told Live Science. 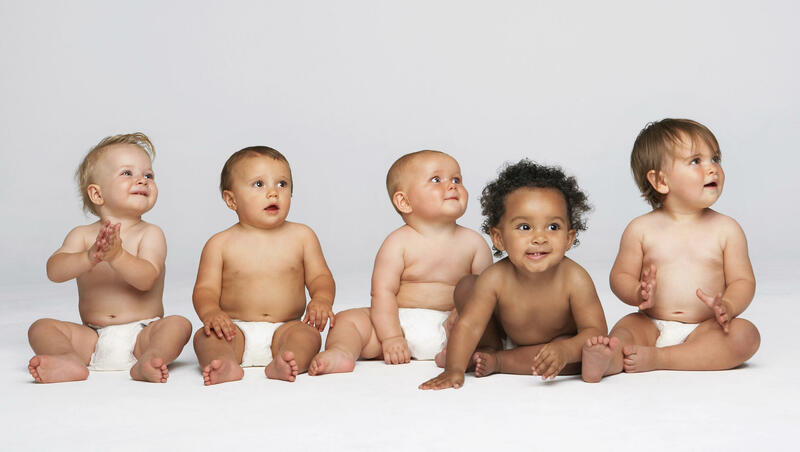 Twenge and her colleagues found that the percentage of babies receiving the most popular names continued its downhill slide between 2004 and 2015, with the recession causing nary a hiccup in the trend. Between 2004 and 2006, 10.09 percent of U.S. baby boys got a top-10 name. This percentage declined to 8.6 percent between 2008 and 2010, before falling to 8.15 percent between 2011 and 2015. The increase in unique name choices was more extreme for boys than for girls, possibly because creativity in boy names has historically lagged behind creativity in girl names, Twenge said. Between 2004 and 2006, 8.2 percent of new baby girls got a top-10 name. From 2008 to 2015, that percentage declined to 7.88. The same patterns held when analyzing the top 25 names or the top 50 names, and in fact were a little stronger, Twenge said. That was an interesting finding, because the popularity of top-50 names isn’t as well publicized as the annual list of the top 10, she said. The researchers did find that higher median family income correlated with the trend toward fewer common names. Income inequality also correlated with fewer Sophias and Jacobs, which are two of the most popular baby names for girls and boys, respectively. These findings don’t prove that income and relative income explain all the unique baby names out there. However, other scientists have found that income inequality correlates with higher self-regard. “Maybe people feel like they need to stand out more because only some people make it,” Twenge said. It’s important to note that, opinions on the name Nevaeh aside, today’s Millennial parents aren’t dramatically more monstrous than the Gen-Xers or Baby Boomers that came before. The change in individualism has been gradual, moving only a few points on the scale from generation to generation. And Americans still value friends and family as much as they ever did, even as they become less communal in other ways, according to 2012 research. Besides, some facets of individualism are probably good. Millennials​ tend to value differences and practice tolerance, Twenge said. Individualism is a lens to help people understand cultural shifts, both good and bad, she added. “I’d like to start a conversation, to have people talk about the changes in our culture,” she said.